 The Orion PCIG210 is a 4 or 8 channel optically isolated serial card ideally suited for a variety of applications. 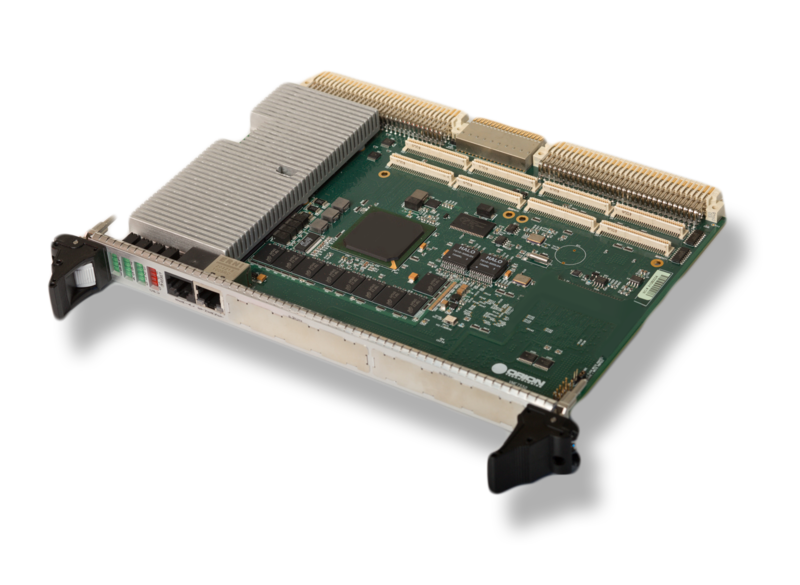 The card supports all three protocols RS-232/422 and RS-485. 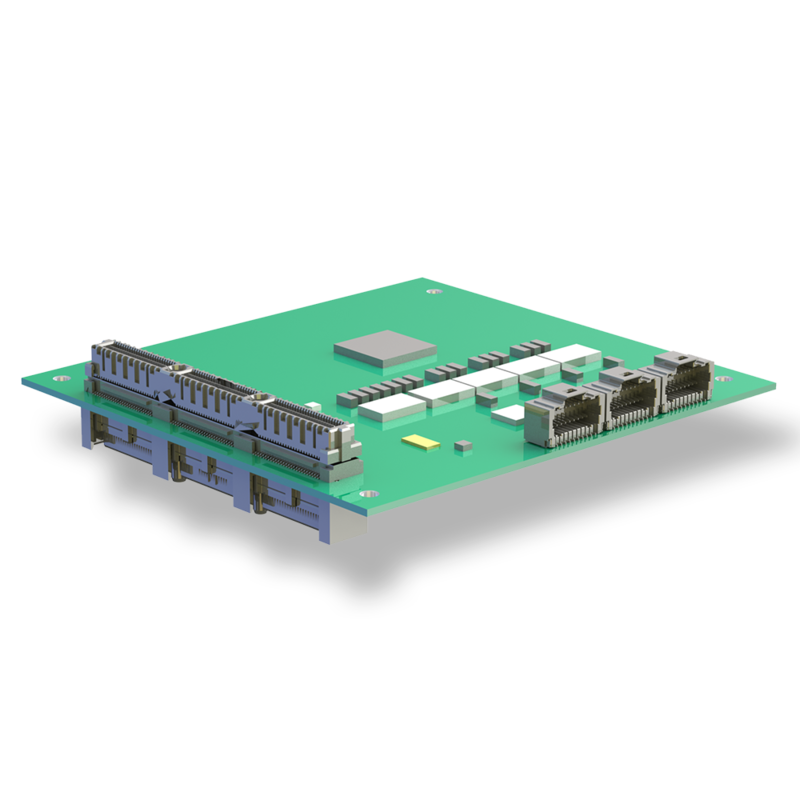 The serial channels are parallel in nature and controlled using a high-performance quad or octal PCIe express UART. 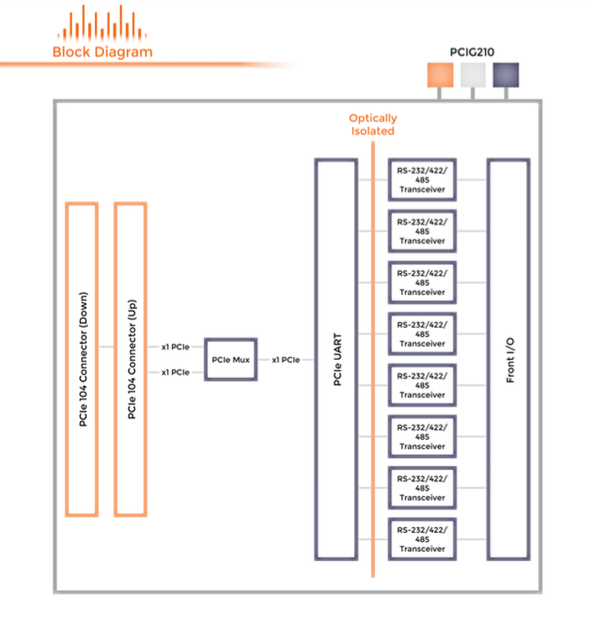 Two separate PCIe inputs are switched using a PCIe multiplexer allowing the G210 to be stacked up or down in the PCIe104 stack.